Coming up the fastest web hosting provider that offers durability, bullet-proof security, and high uptime requires hours of research which is time consuming and quite frustrating. But, it worth your time because fast loading speed helps you build strong readership as well as high search engine ranking. Furthermore, no one like to visit a slow site taking more than 4 seconds to render the complete content. That said, choosing a fast web hosting matters but it takes a lot of research to come up the right provider. If you want to save your time and efforts, I thoroughly researched and craft this list to help you pick the most reliable, fast, and secure hosting company. You might like to choose a cheap host, but quality comes with a price. So, don’t just focus on a low cost host but also reliability and most importantly fast loading time. Customer support via multiple channels like chat, call, etc. I ranked InMotionHosting at first position because it not only offers cutting-edge hosting but also allows 2 hosted domains on the very first plan. So, you can set up two websites on a single account which saves you a bunch of dollars. They provide economical SSD hosting that comes with unlimited storage and bandwidth. You can create as many email addresses as you can and store countless emails because email hosting is also limitless. The company is thumbed up by CNET for last 16-years as a trusted host. Their hosting platform is fast enough to load your website under 2 seconds no matter how big it is. But for ultimate performance, I recommend you should choose “PRO” plan as it packs 4x performance because of high RAM and CPU power. However, “Launch” plan good for starter and beginner users if you have a tight budget. Free domain name, Max speed zones, 90-day money back guarantee, 400+ one-click installers, and 24/7 customer support via chat, email, and phone, etc. available for all accounts. 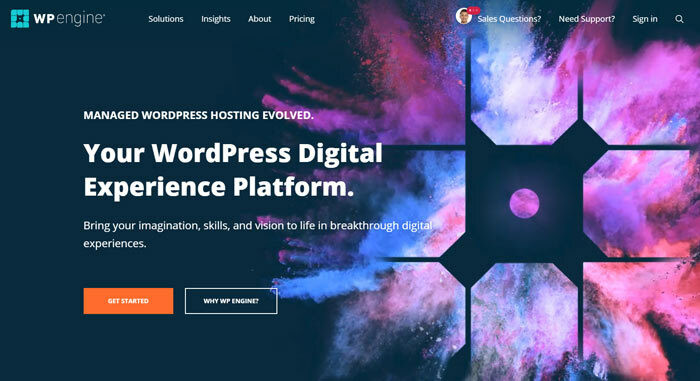 SiteGround is one of the highly reliable and secure web hosting providers out there offering affordable solutions for WordPress, Joomla, Drupal, and WooCommerce websites. Their shared hosting optimized in a way to deliver unbelievable speed across the world making them the fastest web hosting service. You can choose from 4 different data centers located globally to get low latency, faster rendering, and stability. Also, the blend of in-house built SuperCacher, custom LXC container, and proactive monitoring work together to provide a robust hosting platform and 99.99% uptime. Moreover, they also have a custom backup system which regularly creates copies of your content or users can backup manually right from the cPanel. Everything from installing WordPress to enabling free SSL is super easy to set up and takes a few clicks. Plus, you can boost your site’s performance by activating multi-level cache and integrate with CloudFlare CDN which drastically improves the overall performance. SiteGround also officially recommended by WordPress.org which is another reason to choose SiteGround. Apart, I personally rank them 9.5/10 due to exceptional services. We all loved to get discounts and freebies, even more, when they really worth it. FastComet provides a free domain name for life until you decide to use their service. It saves a lot of money when you have plans to run a website for a longer period. A domain name costs around $10 to $15/year. Let’s calculate, If you want to keep a domain for the next 10 years how much it alone can save you – many bucks. Furthermore, their SSD based shared hosting makes your blog 300x faster than the competition making it a fast website hosting provider. On top of that, setting up CloudFlare also boost the speed, it gives two benefits the first one is aforementioned and second one is that CloudFlare acts as a proxy to prevent spam traffic/bot which is essential when having monthly bandwidth limits. Free cPanel, 24/7 support, daily backups, and 45-day money back guarantee includes in all plans. BlueHost was the first host I used when started my blogging journey and after around 4+ years, I am still using it for one of my niche blogs. Why? 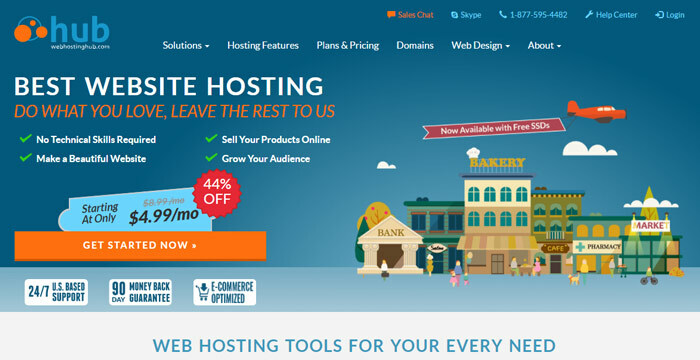 They offer affordable web hosting with a free domain name and empowering more than 2 million websites. You can get your money back within 30 days if they failed to satisfy you and it’s dead simple to cancel the subscription. All you need to do is just make a call. Plus, WordPress.org recommends BlueHost on the top spot of their recommendation page. 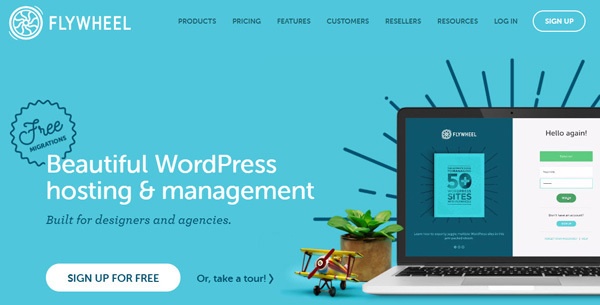 The company has latest technologies and server hardware in place as well as exclusive WordPress tools such as one-click backup feature, easy SSL enabler, WP updates, and much more. Shared hosting comes with cPanel – a widely used software to manage all of your domains from a single dashboard. It allows easy CloudFlare integration, DNS modification, file manager access, and MySQL database. All plans include $150 free marketing credits, unlimited bandwidth, 24/7/365 round the clock customer assistance through chat, phone, and email. If you’re running multiple sites and tired of low speed, then GreenGeeks can help make your websites load faster than before. They utilized the latest solid state drives for data storage and enterprise-grade technologies to achieve superior performance even for shared plans. The company has taken environmental responsibilities quite seriously that’s why using renewal energy sources thus known as the leading green hosting in the industry. Plus, PCI compliance and premium SSL availability making them eCommerce compatible too. Instead of serving various shared packages, GreenGeeks provide a single plan backed by unmetered SSD space, allow unlimited domains and emails, free domain name, drag and drop builder, RAID-10 storage, HTTP/2, free CDN, and nightly backups. The inclusion of PHP version customization, SSH access, FTP access, WP-CLI, Git, Perl, and Drush makes them developers as well as advanced users friendly. You can contact the support anytime via chat, email, and phone. A2Hosting provides the fastest web hosting backed by SSD’s for both Linux and Windows users to launch their project with 1-click installers. Unlimited web space and unmetered bandwidth for all packages are given on speedy servers regardless of your subscription. They are serving customers for the last 10+ years and handling thousands of users globally including individuals, businesses, and bloggers. You can guess the reliability of A2Hosting’s platform by knowing the fact that over 22k real users gave them 5/5 rating – and these are third party reviews. Starting at $3.92 per month, you get everything unlimited expects the hosted domains as each plan designed to allow limited sites. The basic one concedes 1 site, 5 databases, free SSL, and infinite space with anytime refund policy. For ultimate overall performance and multiple allowed domains, choose “Turbo”. It packed with Turbo and A2 accelerator which increase the loading time by 20x. Regarding technical support, expert staff is always there to fix your problems via chat, email, and phone. With over two decades of industry experience, DreamHost is one of the best domain providers and fastest SSD web hosting provider. It handovers unlimited SSD storage and unlimited domain names without putting any bandwidth limits. So, you can host all of your blogs and sites on a single account which reduces a lot of headache like managing different accounts, renewals, etc. Moreover, DreamHost also recommended by WordPress officials to build a smooth and error-free site. The good news is new customers get a free domain name with free WHOIS guard protection which is a real $16 saving. And an unbelievable 97 days beyond the industry standard money back guarantee clearly shows that how confident they are on the quality of their services – isn’t it? The highly optimized web hosting of DreamHost renders your blog content faster than HDD across the world because of 200% better performance. Novice and non-techies can use DreamHost’s’ free Remixer website builder to create their first site just by drag and drop. It’s super easy to use and doesn’t require coding or advanced technical skills. Furthermore, SSL certificates, email storage, custom control panel, IPv6 support, PHP, and CGI access are added perk in shared web hosting. When need help, getting in touch with support staff takes only a few seconds via chat. Planning to start an eCommerce store but don’t have technical skills? Worry not, WebHostingHub presents eCommerce ready solutions using which anyone can set up an online shop in a matter of minutes. You get a free domain and 20x fastest web hosting on SSD’s along with $150 marketing credits to advertise your newly created shop. There is no storage, bandwidth, and email hosting cap so you won’t get out of space. Besides, free SSL certificate, 1-click installer, cPanel, and the US based 24/7 support included for all. Unlike industry standard refund policy, you can try WebHostingHub for 90 days and get your money back if they failed to amaze you. Three month is an extended period to check uptime, durability, and speed. Isn’t it? If you already have a blog, then they will migrate to new servers at no additional fees with zero downtime. Shared “Spark” package is good for starters or new blogs. However, “Nitro” is perfect for hosting unlimited domains and improved performance. You can give them a try without any doubt to avail high speed hosting but at affordable prices. Another company just like DreamHost, MediaTemple was founded back in 1998 to serve web developers, bloggers, businesses, designers, and creative minds. Right now, handling more than 100,000 users globally from 100 countries, and 1.5 million websites on their platform. You may find their plans a bit expensive even shared “Personal” but considering the fact that it can be used to host 100 small sites making it reasonably priced. The “Personal” package costs $20/mo accommodates 20GB SSD space, 100 databases, and 1TB bandwidth. Are they trusted and sustainable? Well, large brands like Samsung, Adobe, AIGA, jQuery, and OBEY, etc. are the top clients of MediaTemple. They also offer various services including SSL security certificates, G Suit, CDN, AWS Cloud, and website builder tools. The availability of all kind of SSD powered hosting solutions such as VPS, Dedicated, Managed WordPress, and shared makes them one-stop shop where you can avail anything to run your online business seamlessly. TMDHosting offering everything unlimited for all plans expect the “Starter” which allows 1 hosted domain whereas storage space is unlimited on solid state drives. Beyond that, the significant difference between plans is performance. The first one comes with basic optimization while “Business” and “Enterprise” deliver 2x and 3x performance respectively. You get a free domain name on annual subscription with a 60-day money back guarantee and 24/7/365 support. No matter you’re a blogger or advanced user (developer), TMD has a vast range of 1300+ applications to fulfill all kind of customers. SSH access is given by default and can be integrated with GIT easily. They maintain daily backups and restoring to the previous version doesn’t require a single penny. You’ll need to contact the support agent for restore and they will do it asap. All servers (7 data centers) are tuned for solid security, BitNinja Firewall, and multi-layer cache which results in 16x page speed. The award-winning staff also contributed to WordPress Core files to make it even better. Their platform is the combination of over 40+ technologies tweaked and optimized for optimal results. Thanks to Google Cloud and AWS cloud which is being used by the company to deliver speedy and reliable solutions. In case of any problem, 24/7 USA and Ireland based experts are always there to assist you. Kinsta has developed state-of-the-art infrastructure built for bleeding speed, security, and scalability by utilizing Google Cloud platform. Comparatively new in the business than other hosts but you get beyond the expectation managed WordPress hosting services. They integrated many technologies to deliver total peace of mind and freedom to help you focus on real work. The expert team behind Kinsta monitor your WordPress blog pro-actively for max. uptime as well as accessibility. GE, Ubisoft, Elcome, Ricoh, Intuit, and Workforce are few giant names already enjoying their services so why not you? Kinsta’s custom made control panel designed in a way to provide ultimate usability using which users can analyze traffic activities, visitors log, DNS settings, SSL, migrations, monitoring, and manage financial reports of their account. You can track bandwidth, storage, and response time right from the dashboard. As it’s a managed hosting, so you get unbeatable page loading speed, resource flexibility, and well-experienced technical support whenever needed. Free migration, daily backups, free CDN & SSL, and staging are standard perks. The most enticing thing about WPXHosting is they claim to offer instant customer support under 25 seconds. 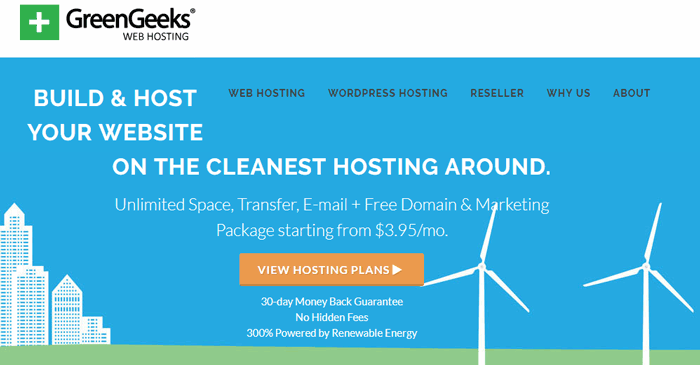 They provide cheapest hosting for WordPress compared to above fastest web hosting companies but packs all the essentials. In my experience, WPXHosting worth using if you’re tired of dealing with technical things and looking affordable service. Their team handles everything from server level issues to CMS problems for your convenience and fix it in no time which means you can invest that time to enhance productivity. Starting at just $19.99/month with 5 domains, 10GB SSD storage, 50GB bandwidth, development environments, and 28 backups. You can choose from 2 data centers located in the USA and the UK. The best part is they also offer free email hosting where most managed WordPress hosts lack it. DDoS attack protection, unlimited SSL, 99.95 percent uptime, 1-click installer, and PHP version customizations also packed for all account holders. Apart from that, you can also register your domain name with WPXHosting at reasonable rates. Last but not least, here is FlyWheel, primarily focusing on individuals, creatives, and agencies to set up demo sites without paying a dime. When everything got configured pushing the demo environment toward live world doesn’t take any time. All you have to do is complete billing by yourself or client – And you’re good to go. With server-side cache, they fine-tuned every machine and integrated NGINX technology to deliver the high speed hosting for WordPress platform. Plus, setting up CDN to enhance further performance is dead simple. There are 7 data centers to pick the most suitable location according to your audience, it not only helps to reduce response time but also high ranking in SERP. Search Engine especially Google rank speedy pages higher than slower. You can manage multiple domains, SSL certificates(free), backups, migrations, traffic stats, and collaboration tools through the user friendly control panel. 24/7 professional expert support via chat, email, and call in place alongside 14-day trial. Conclusion – Which One You Choose? InMotionHosting is the overall best fastest web hosting for anyone want to get high speed hosting allowing multiple domains and free domain registration. They provide unlimited storage on SSD’s for content, database, and emails. On top of that, 90-days refund is the clear evidence showing that how confident they are about the quality of their services. SiteGround is the runner-up giving robust hosting at the affordable price with free backups and killer uptime. The company has exclusive tools including SuperCacher, LXC technology, and multi-cache levels to deliver ultimate speed. Plus, it’s one of the top services recommended by WordPress.org. Enterprises and big websites getting thousands of daily traffic can choose WPEngine or Kinsta. Both are perfect for peace of mind managed WordPress solutions and backed by experts to help fix your issues in no time. 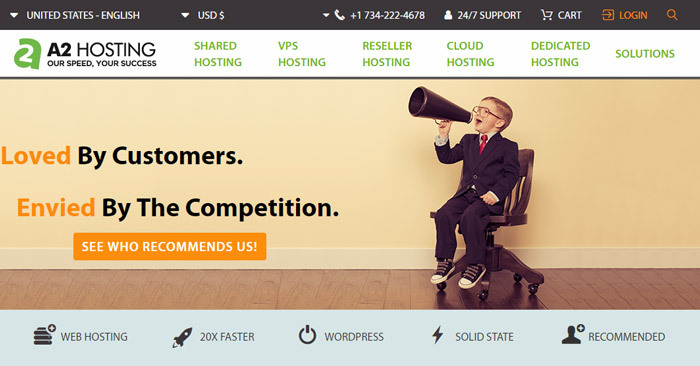 Also, they offer the fastest web hosting for WordPress CMS on dedicated cloud servers. Now, take your time and decide which one would be right for you. If you need further assistance, please don’t hesitate to ask in the comments.